I took the KMX Kart for my commute this morning and it gave me quite a workout. The geometry on the KMX is quite different from any commuter bike or any bike for that matter. 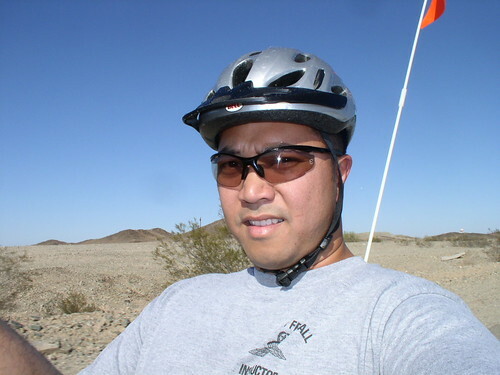 Not only did the Kart do a number on my legs, but I found my arms and abs a bit sore after the ride. I’m still impressed on how fast this little puppy could run. I wish I had one of those computers that logs the distance and speed that you’ve traveled. Just to see how fast I could take it. The only complaint I have about the Kart is that I don’t have saddle bags to put some of my stuff in. But that’s something that could easily be fixed. Stay tuned for a KMX Kart “Saddle Bag Project“. 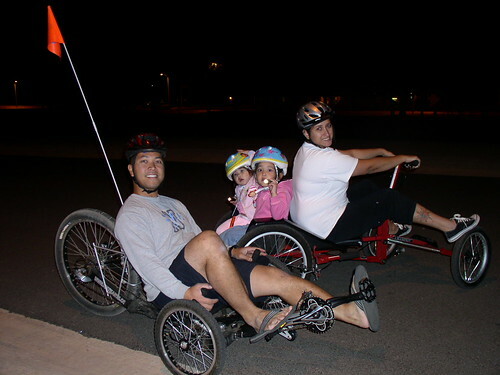 Last night my husband Randy and I took the kids out for a ride around the neighborhood. I took Katrina and Kristen on the Champiot while Randy rode the KMX Kart. We rode around for a while. We didn’t have any lights set up on either bikes so we had to improvise and used flashlights. We must have only gone around 5 miles but still had so much fun. I really enjoyed the quality time we’ve spent as a family. We celebrated my daughter Kristen’s 2nd birthday Saturday and all my nephews and nieces came over. It was great to have the Familia over for a party. 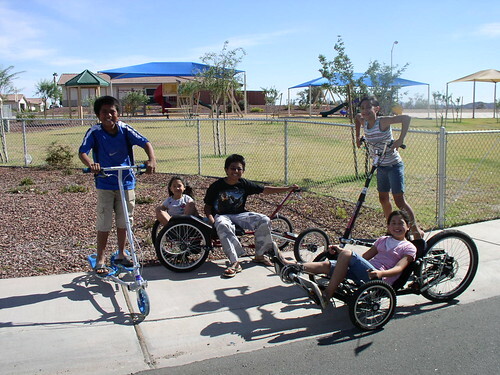 The following day I took out some of the trikes and karts we’ve previously tested for the kids to ride. On the left, Arron is sporting the Slider The UnScooter. This baby is actually under review as we speak. Aleah and James are riding the Champiot. Every one loves a Champiot! Alyssa is on the Trikke. And Breanna is riding the KMX Kart. All the kids had a blast riding the different contraptions. They all took turns riding each one. Even the neighborhood kids got a chance to ride a few of these. I still had so much fun even if I weren’t the one who was riding them. Spending quality time with my nephews and nieces is always a plus in my book. Though not really intended for commuting long distances or hitting some serious mountain trails, Footbikes are a blast to get around with. 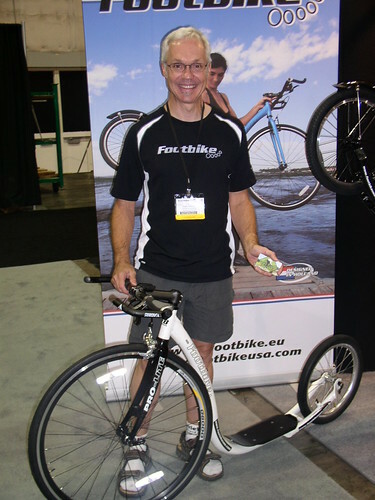 I had the pleasure of meeting Gary Schmitt a World Champion Kick Bike Racer and talked about Footbikes. Gary showed off 3 models: Street, Track, and Trail which all come in various colors. 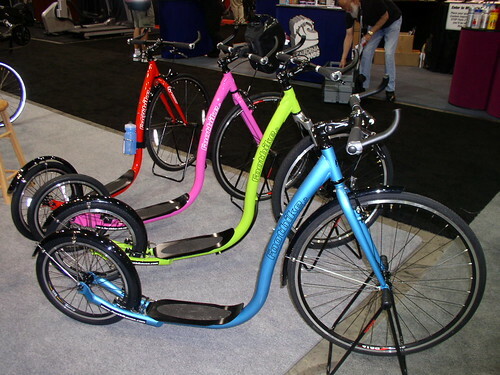 I even had a chance to ride one of these bad boys around the convention center. 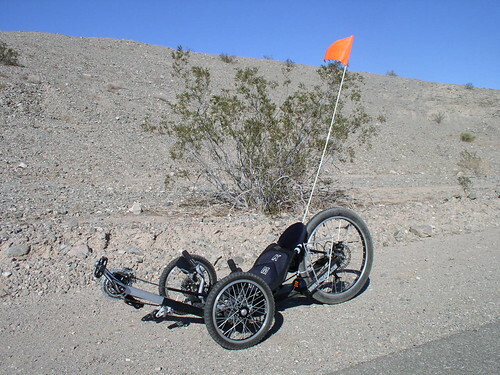 Being a bike fanatic, I instantly fell in love with the ingenuity of a Footbike. 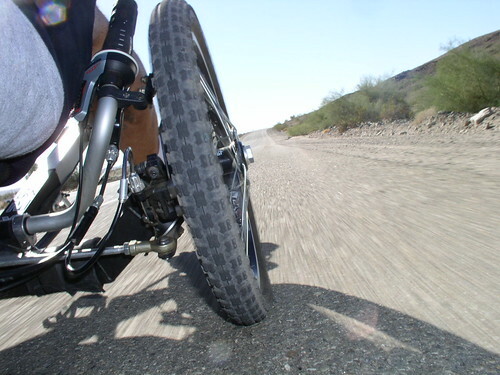 If you get a chance to ride a Footbike, I would definitely suggest you jump on it. 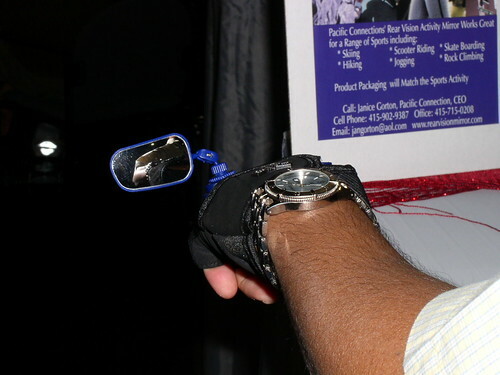 During Interbike, RL got a Wrist Band and a glove from Rear Vision Activity Mirror to test out. 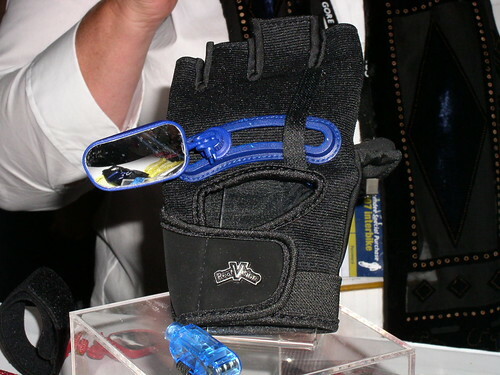 These little bad boys allows the rider to see behind them without turning their heads. 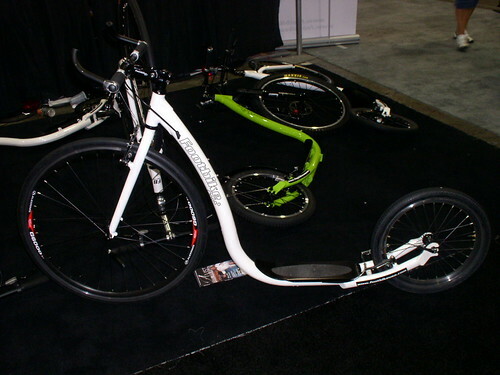 I’ve always been a big fan of gadgets that helps Bike Commuters become safer on the road.